Created in Brussels in 1979, GRIP (Groupe de recherche et d’information sur la paix et la sécurité) developed in a particular context, that of the Cold War. At that time, our first research work tackled the balance of power resulting from the East-West confrontation and, throughout the 1980s, GRIP became well-known for the accuracy of its analyses and reports dealing with the arms race, its mechanisms, the interests at stake, etc. Since the fall of the Berlin Wall in 1989, the geo-strategic perspective has changed considerably and so have GRIP’s research interests. Since then, GRIP has tackled security issues in the broad sense, studying things like the prevention, management and resolution of conflicts, mostly in developing countries (particularly in Africa). Two of the many aspects in which GRIP specialises are the proliferation of light weapons and the control of the arms trade. Less traditional themes are also given close attention, like “green” conflicts, the role of the media and science, globalisation and humanitarian action, to cite some of the most recent. GRIP is still studying the role of the European Union in the fields of defence and security as well as arms production, military doctrines and programmes, and the evolution of international organisations (UN, OSCE and NATO). In 1990, the Secretary General of the United Nations, Perez de Cuéllar, designated GRIP as a “Peace Messenger” in recognition of its “precious contribution to the action towards peace”. In enlightening citizens and decision-makers on the often complex issues of defence and security, we aim to help reduce international tensions and strive for a safer and less armed world. Through our action, we work on the prevention of conflicts, disarmament and improvement of arms control. GRIP is an independent research centre. Its board and supporting committee comprise a variety of persons from different backgrounds. Since its creation, GRIP has been recognised as a permanent education organisation by the Ministry of the French Community (Belgium). GRIP receives regular subsidies from the Belgian General Directorate for Development Cooperation (DGCD), the Belgian and Luxembourg Ministries of Foreign Affairs, the Belgian National Lottery, the European Commission and the ‘Organisation Internationale de la Francophonie’ (OIF). Comprising some twenty persons, the central team is divided into four divisions: research, the documentation centre, publishing and public relations, and secretariat and administration. In addition to the permanent team, GRIP is supported by a wide network of external collaborators. 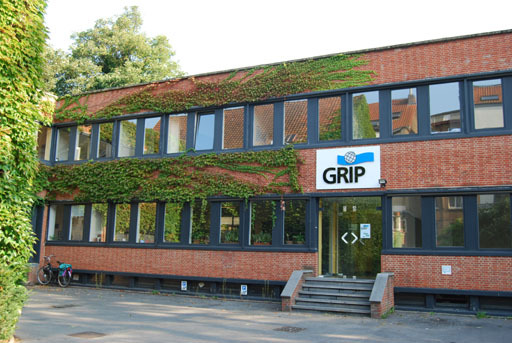 GRIP is also active in various networks and collaborates with a series of other research centres. Conflict prevention, management and resolution. Causes and consequences of conflicts; evaluation of risks and threats; evaluation of the use of force; development of civil instruments (mediation and negotiations); the role of civil society; peacekeeping operations; the role of international institutions (UN, EU, OSCE, African Union, etc.). The research carried out by GRIP covers the Balkans and sub-Saharan Africa (the Great Lakes region and West Africa). Proliferation of small arms and control of the arms trade. International, regional and national initiatives to limit the availability of small arms and improve the control of arms transfers (codes of conduct, model-conventions and legislation); the marking and traceability of small arms; arms sales to African countries and ownership of small arms by civilians). European Union and international security. European Union policy and role (development of the CFSP and the ESDP); relations with the UN, OSCE and NATO; and the drawing up of a European security and defence. Defence economy. Developments in arms production and defence budgets; the restructuring of defence industries; technological developments, arms programmes; globalisation, the defence economy and defence institutions. - The Small Arms Survey (Geneva). GRIP has also worked with organisations including ‘Médecins sans Frontières-Belgique’, Amnesty International, OXFAM, Human Rights Watch, Handicap International, Field Diplomacy Initiative, UNICEF, the Belgian Red Cross and ‘Commission Justice et Paix’. Les Livres du GRIP (GRIP Books): These books tackle international geo-strategy and international security issues (approximately 5 titles a year), widely distributed in bookshops. Les Rapports du GRIP (GRIP Reports): This series of occasional reports assesses research, most of which has been carried out by GRIP’s research team. Les Nouvelles du GRIP (GRIP News): An eight-page quarterly newsletter (review of current events, an outline of GRIP’s activities, etc.). GRIP’s publications have on three occasions won the ‘Prix du meilleur ouvrage de vulgarisation’ (prize for the best public information publication), awarded by the Ministry of the French Community (Belgium). Created to support the work of our researchers, the library provides important documentary resources relating to GRIP’s interests: directories, books, specialist reviews, reports and official documents, principally in French and English. The Documentation Centre is open to the public by appointment (from Monday to Friday, from 10 to 13 hrs and from 14 to 16 hrs). There is an electronic database of some 1,000 summaries and 10,000 bibliographical references, along with Internet access. How is GRIP financed ? Our financial sources are varied: public subsidies (ministries and the European Commission (which provided 50% of the total budget)), research contracts (30%), the sale of publications (15%) and donations (15%). This diversity guarantees our independence. In order to improve effectiveness of its work further, GRIP has to substantially increase funding from donations. Anybody can support our venture – and keep informed of our activities – by subscribing to our publications or making a donation.